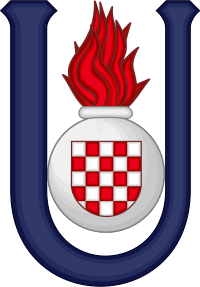 The Republic of Croatia has, since its independence, often reverted to the imagery of its Second World War predecessor; the Independent State of Croatia (NDH). 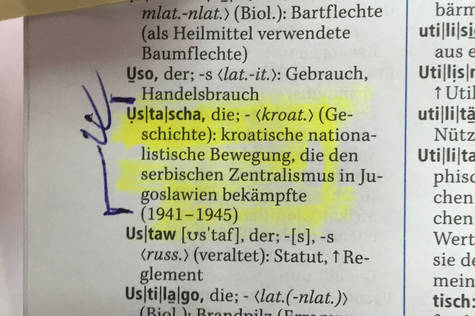 The NDH was a puppet state sponsored by Nazi Germany and Fascist Italy, and was administered by the Ustashe. During its brief four-year lifespan, the NDH made use of a form of clerical fascism built on the basis of discrimination and systematized liquidation of non-Croatian elements within its boundaries. 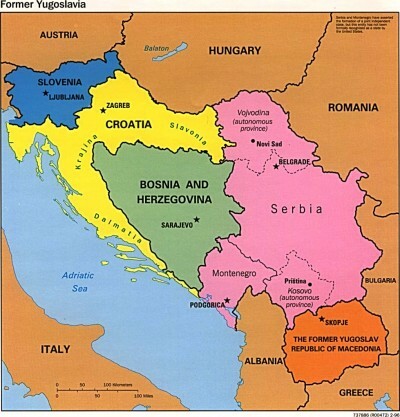 It was responsible for the deaths of anywhere between 300,000 to 600,000 Serbs and tens of thousands of Jews and Roma. Nenad Dumanovic is the founder and principal of Impressify, an Alberta-based content marketing company. He is a graduate of the University of Alberta’s Honours political science program and wrote his thesis on Bitcoin and the political, legal, and regulatory ramifications of digital currency and financial technology. Nenad is an active member of 28. Jun, a Canada- based not-for- profit organization and is launching Konstantine, a digital magazine about current events in the Balkans in Winter 2016. Daniel Jankovic is a graduate of the University of Alberta’s History and Economics program. He studies history and economics, and has an avid interest in political discourse and international relations, especially in regard to the Balkans of Southeastern Europe. He recently completed an in-depth analysis on the death of the residential bar and its social impact in the Balkans. The paper is slated to be published in several academic journals in the upcoming year. He is an active member of 28. Jun, a Canada-based not-for- profit organization and is launching Konstantine, a digital magazine about current events in the Balkans in Winter 2016.